Among the literary selections included are the famous Book of Songs, the epic Dream of Red Towers, the complex dramatic masterpiece The Romance of the Western Chamber, and works from Confucious, Laozi, Du Fu, and Su Shi. More than 100 works of art from the ancient to the contemporary, by artists including Gu Kaizhi, Wang Hui, Lam Qua, and Li Keran. The majority of the images will be from top Asian art collections in the US: The Metropolitan Museum of Art, The Boston Museum of Fine Art, and the Nelson-Atkins Museum of Art, in Kansas City, The De Young in San Francisco with the rest coming from Europe (the British Museum) and China. 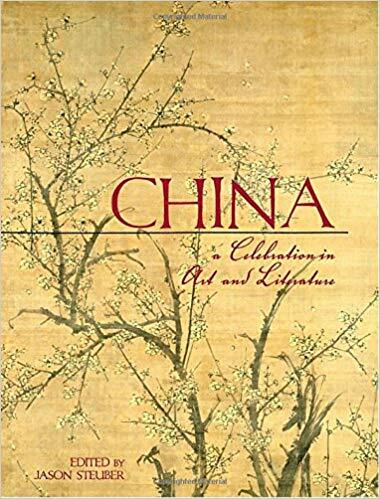 The unique pairings of art and literature in China will enrapture as they reveal–this anthology will inevitably grip all who enter it, be they sophisticated appreciators or eager novices of China.